The Go-Go's are available for exclusive private events, as well as public concerts. To inquire about pricing and availability of The Go-Go’s, or to book The Go-Go’s for your event, Contact Jay Siegan Presents here. From their halcyon days as America’s sweethearts to their current status as superstars who pioneered a genre, The Go-Go’s preside over an amazing three-decade reign as high pop priestesses. The internationally-loved pop hitmakers helped cement the foundation of the early 80′s pop-rock sound without the aid of outside composers, session players or, most importantly, creative compromise. From their very first show, The Go-Go’s sang and played their own songs, offering five feisty role models for a generation of ready-to-rock girls and good, hooky fun for pop-loving guys. Today, with the original hitmaking lineup intact, The Go-Go’s live shows continue to deliver every bit of the raw energy of their now-legendary punk beginnings, tempered with the wisdom of three decades of pop perfection. They have no need to change their sound to try to be modern or current or wander off on some trendy tangent. Why should they change a thing? 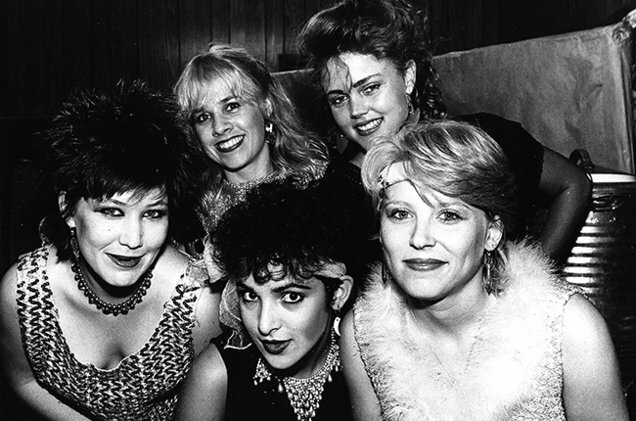 Now, as in ‘81, no one sounds like The Go-Go’s but The Go-Go’s. The whole world may have lost its head, but in a world gone crazy, The Go-Go’s still have the beat. And now, three decades after the release of their first album, go-go music still makes us dance!